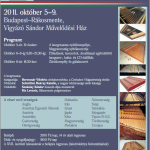 The congress poster is now available in Hungarian. English version will be coming soon. To download the poster, go get the poster in pdf.